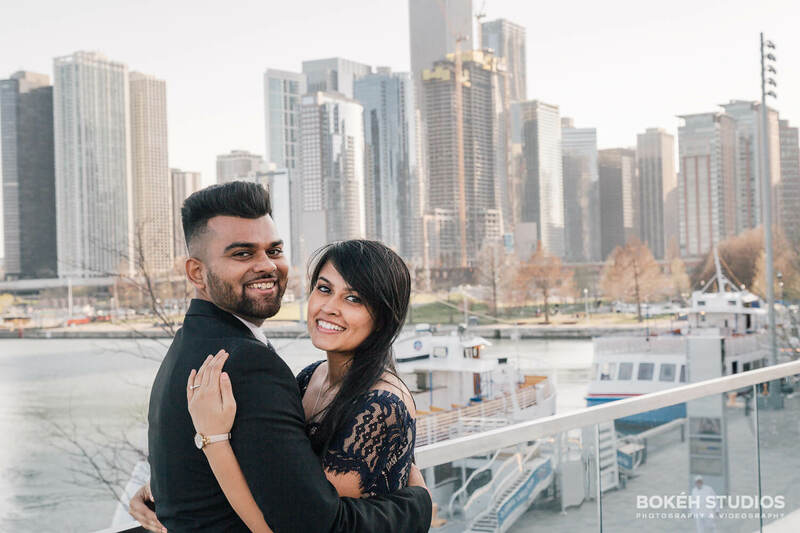 Parth and Binita met as family friends that eventually blossomed into love during adulthood. 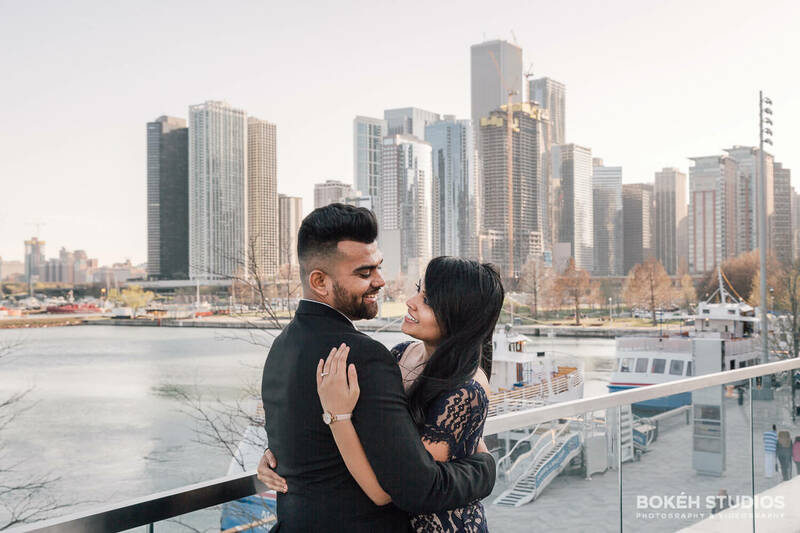 Parth surprised Binita with a scavenger hunt proposal with clues hidden around the Chicagoland area. 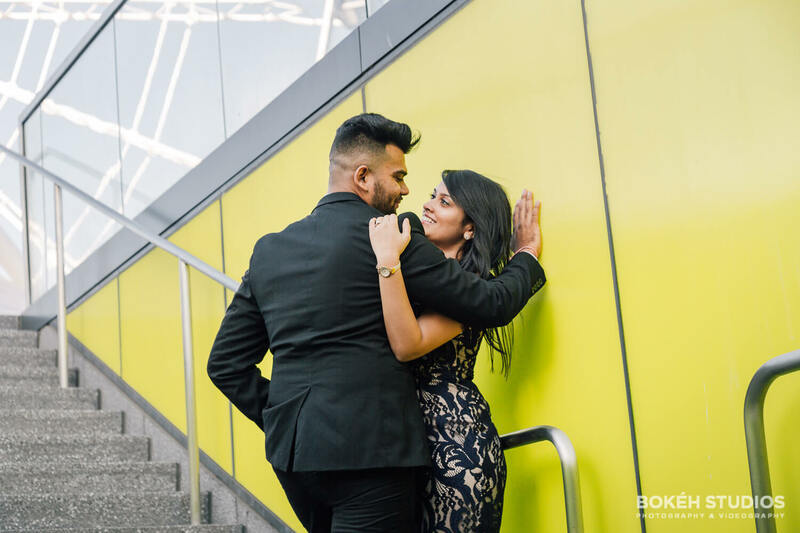 He had been working on this for months without even Binita knowing. 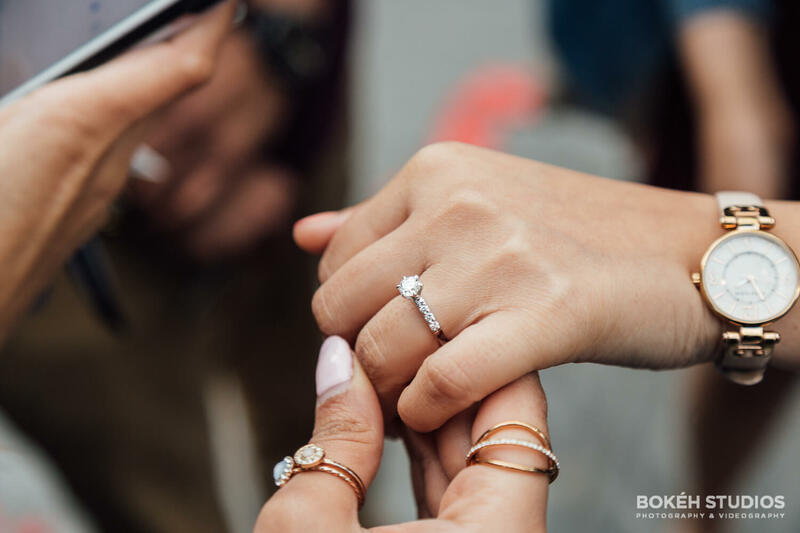 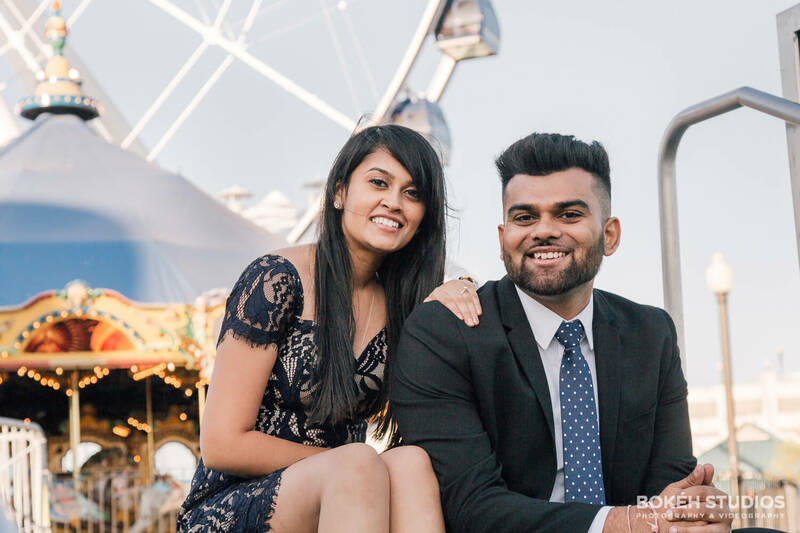 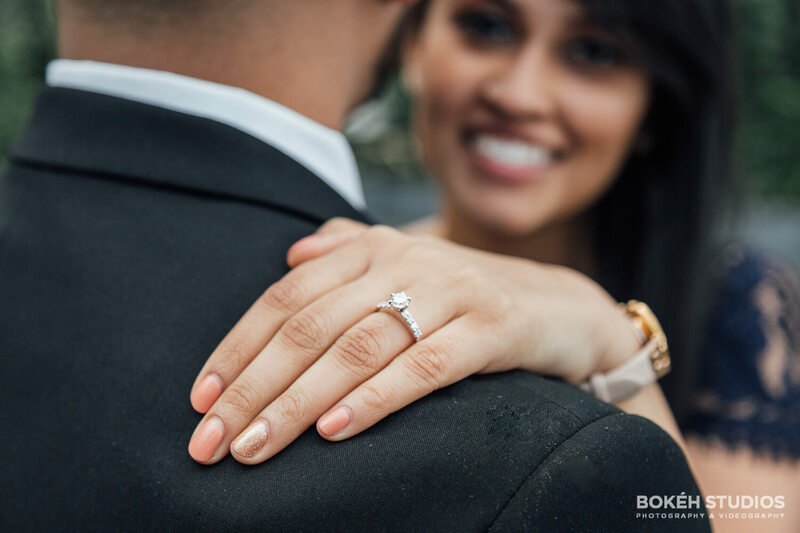 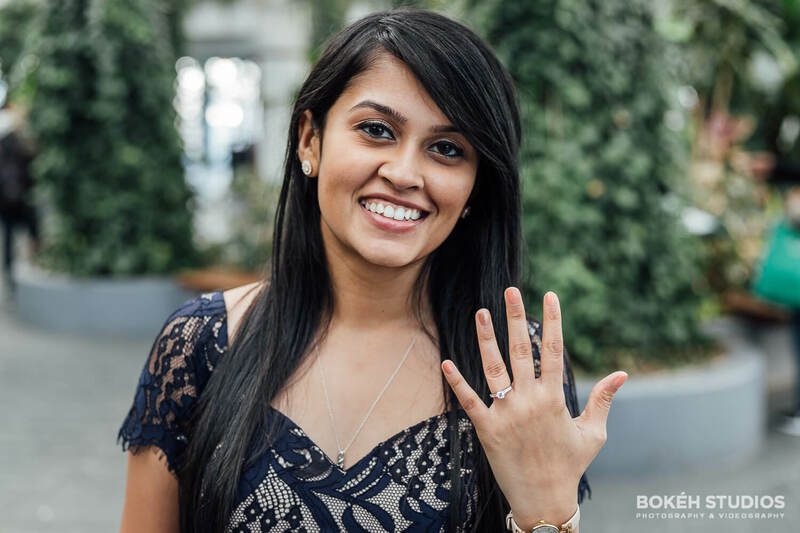 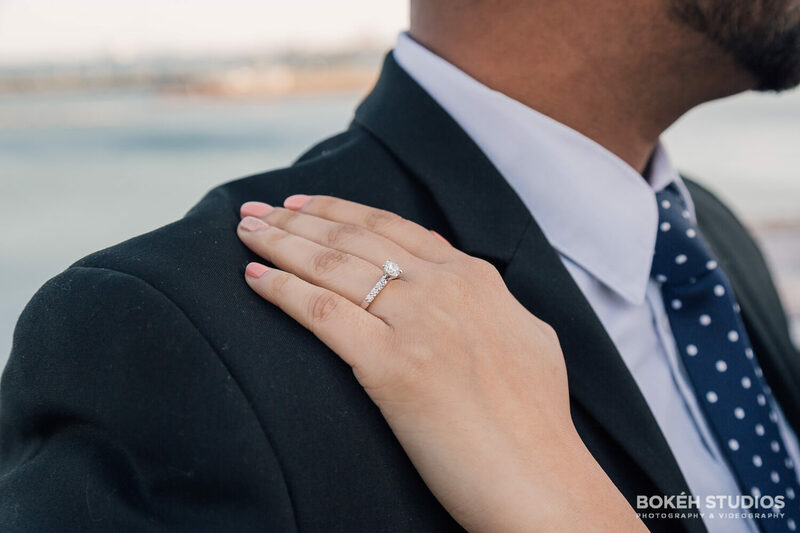 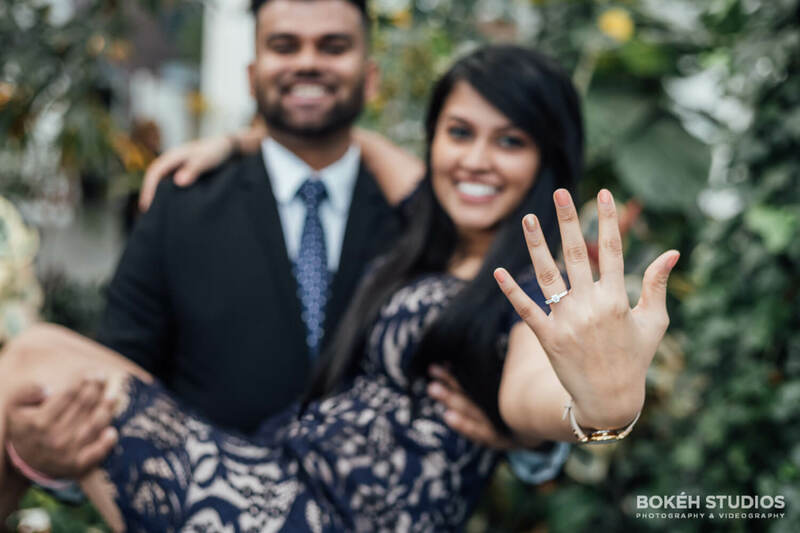 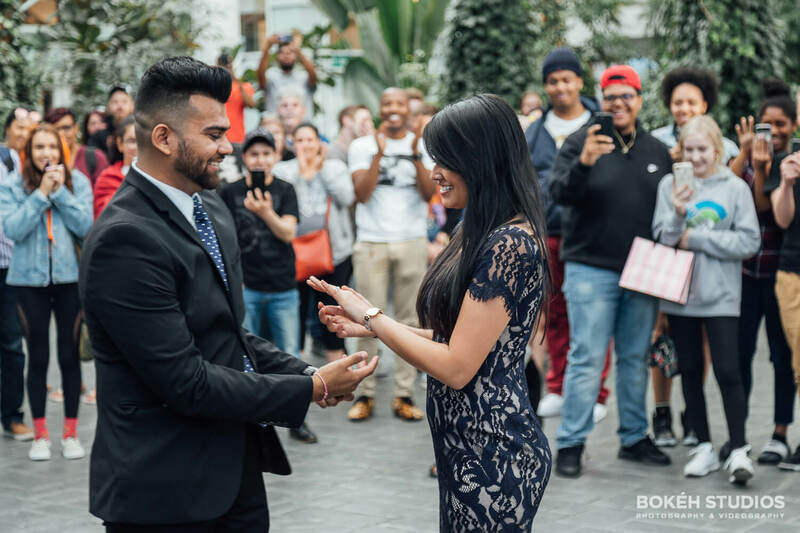 With the help of her best friend, Binita was given numerous clues that led to the proposal. 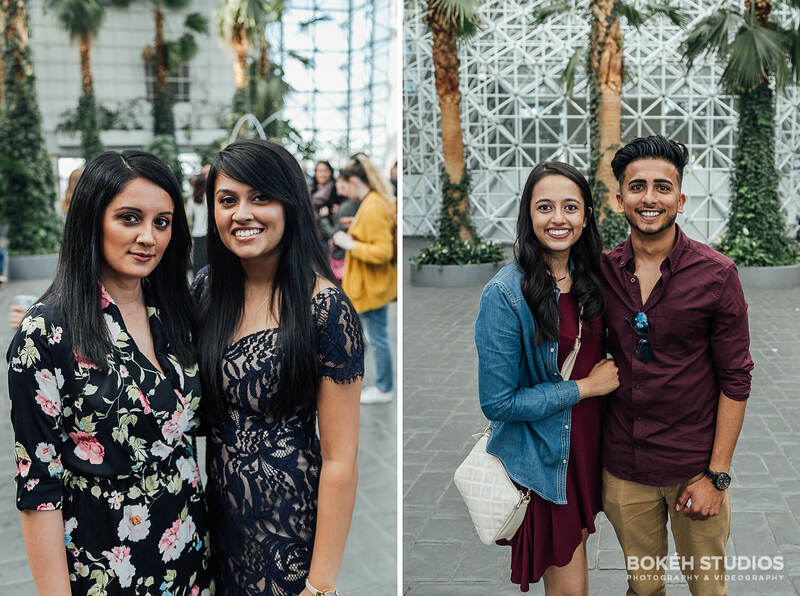 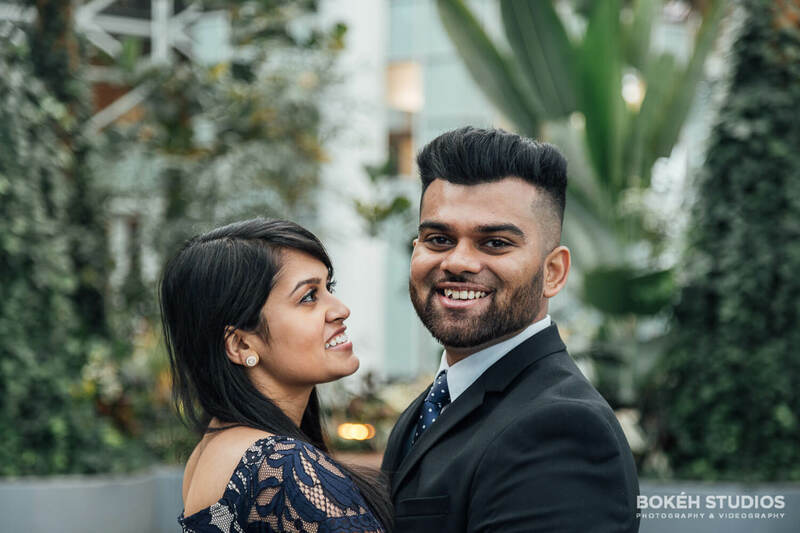 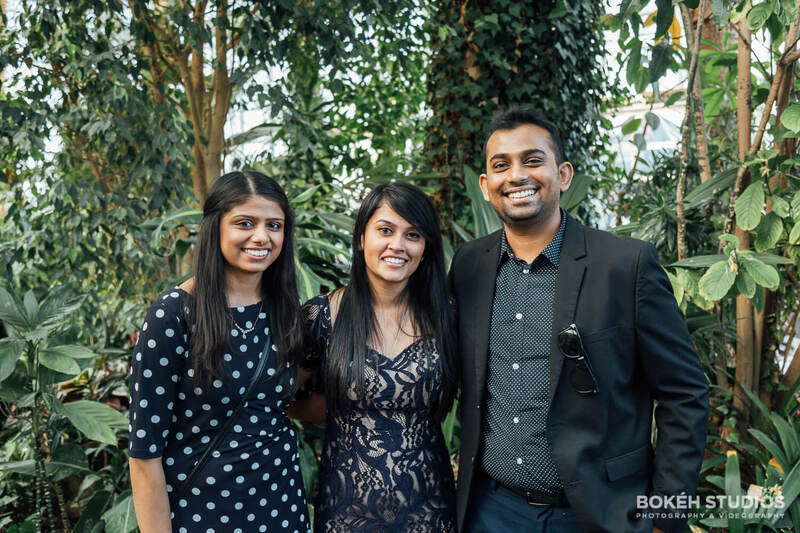 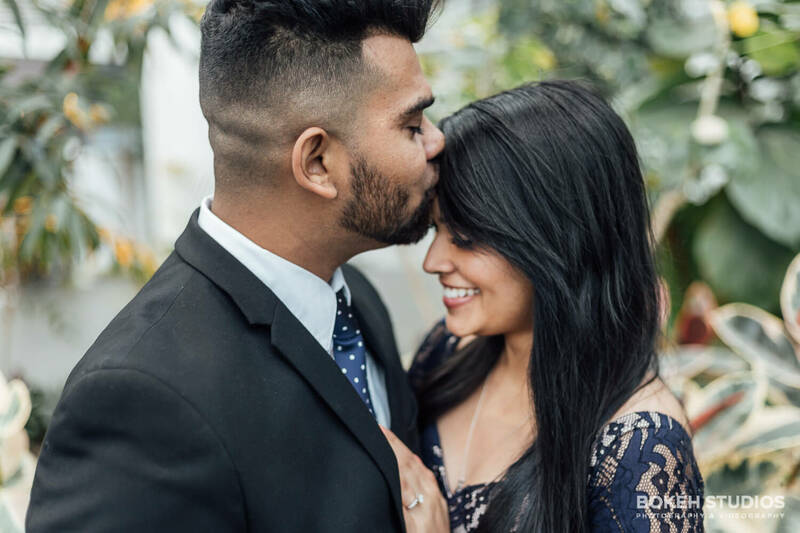 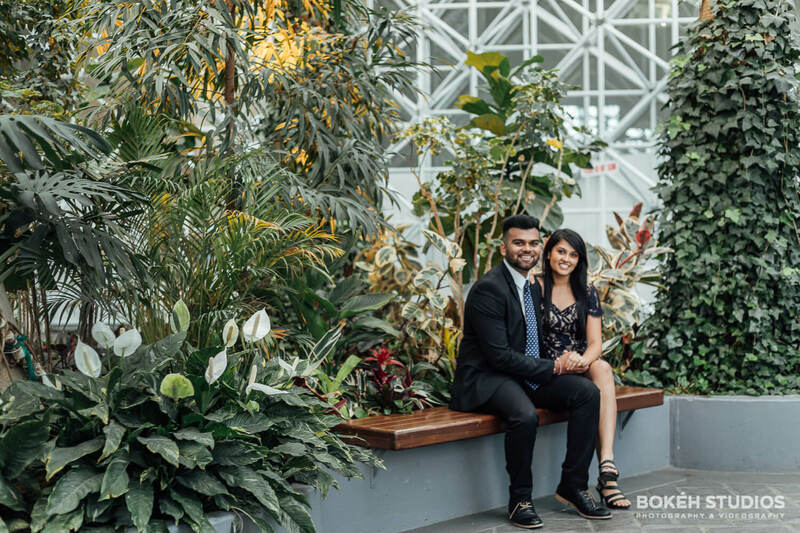 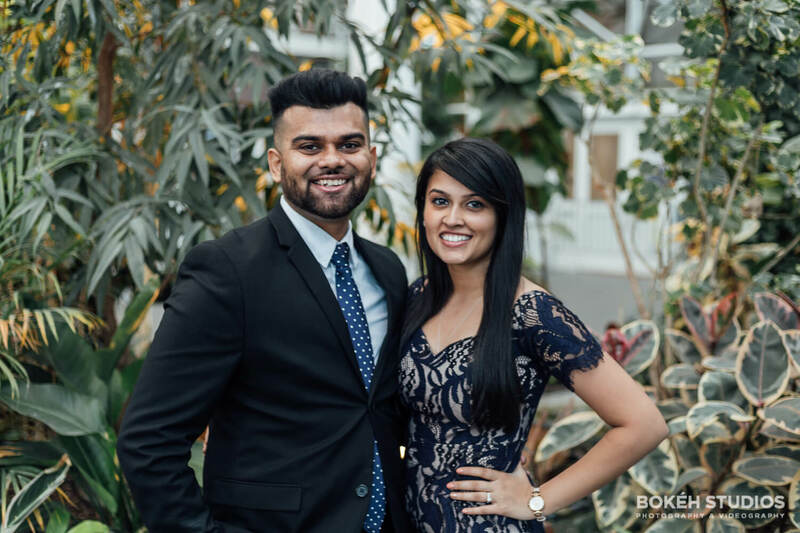 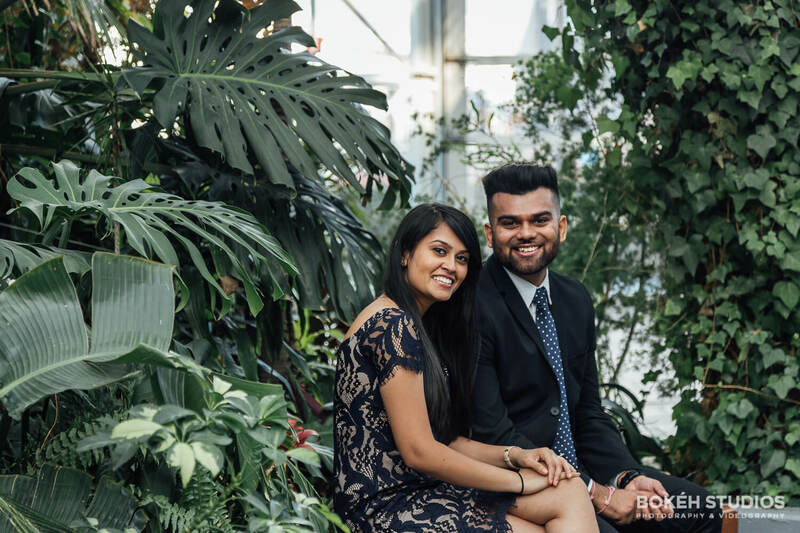 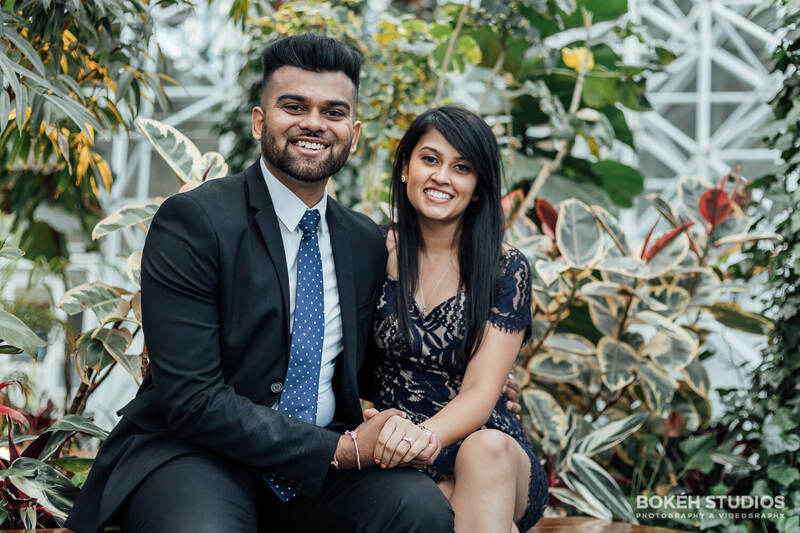 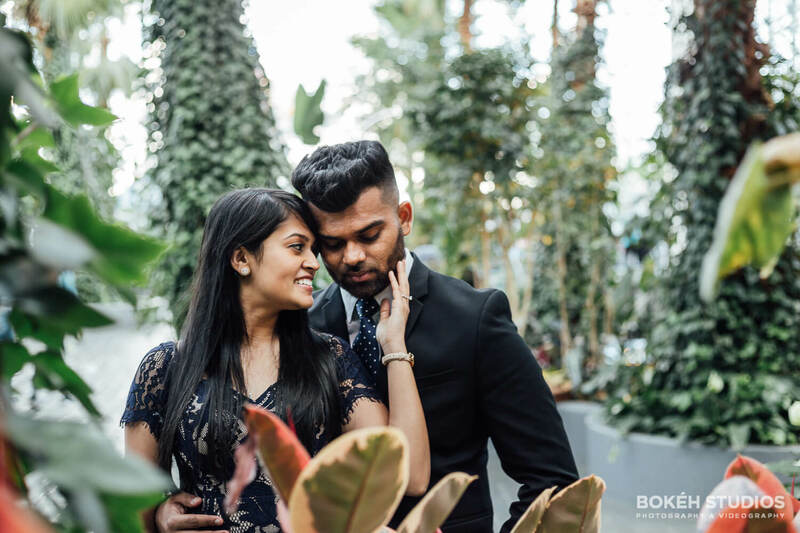 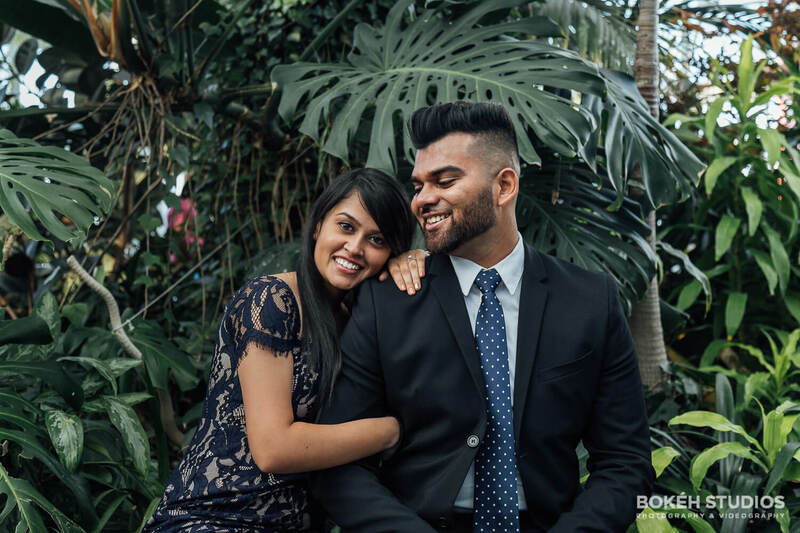 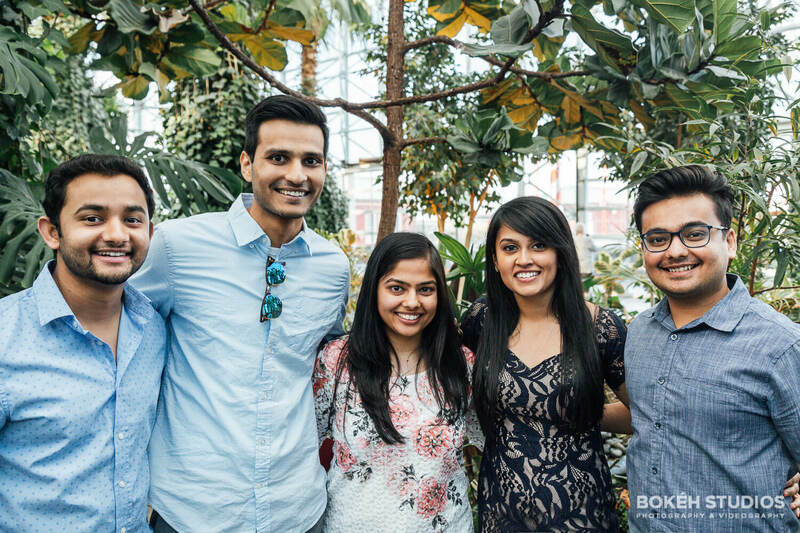 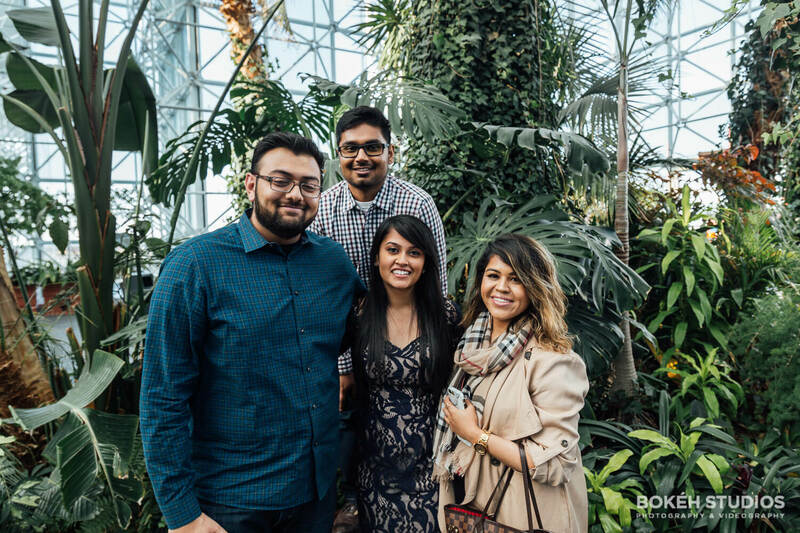 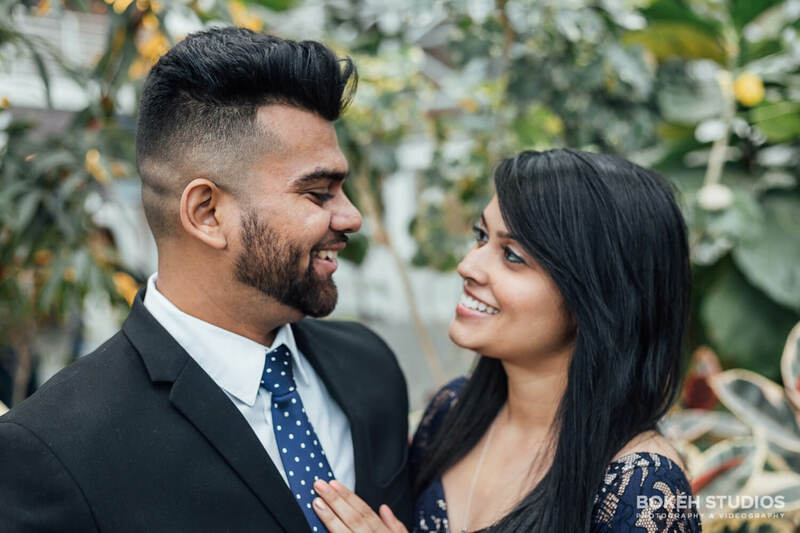 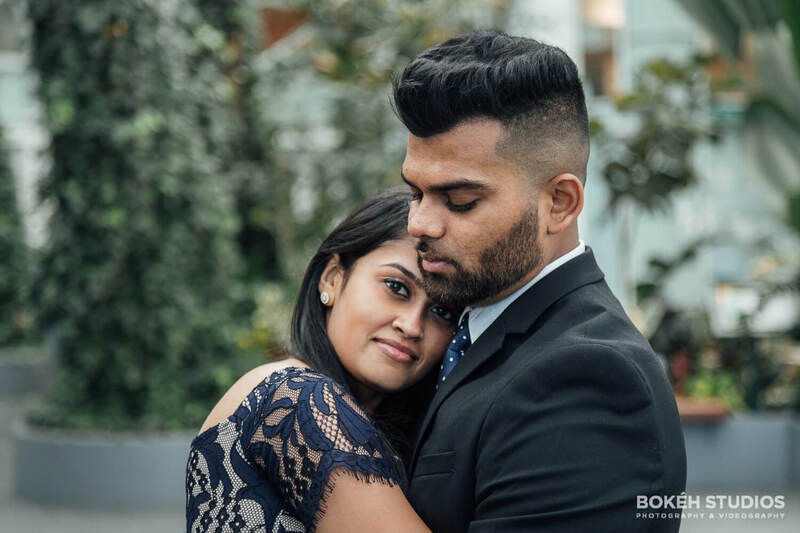 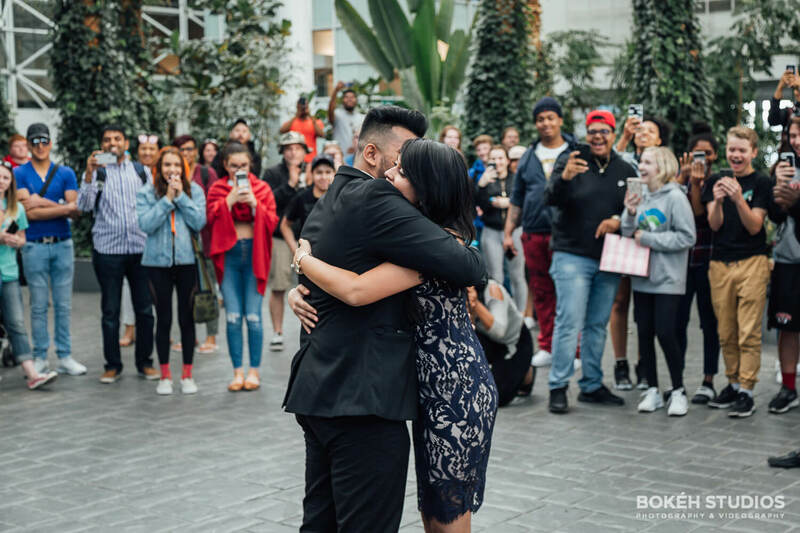 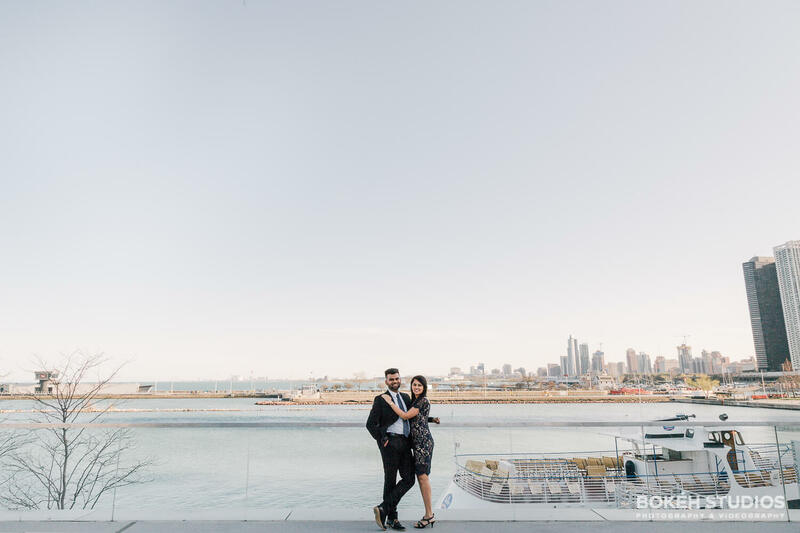 Each card led her to friends and family and ultimately to Parth’s final romantic gesture at Navy Pier’s beautiful indoor, one‐acre, botanical garden, Crystal Gardens. 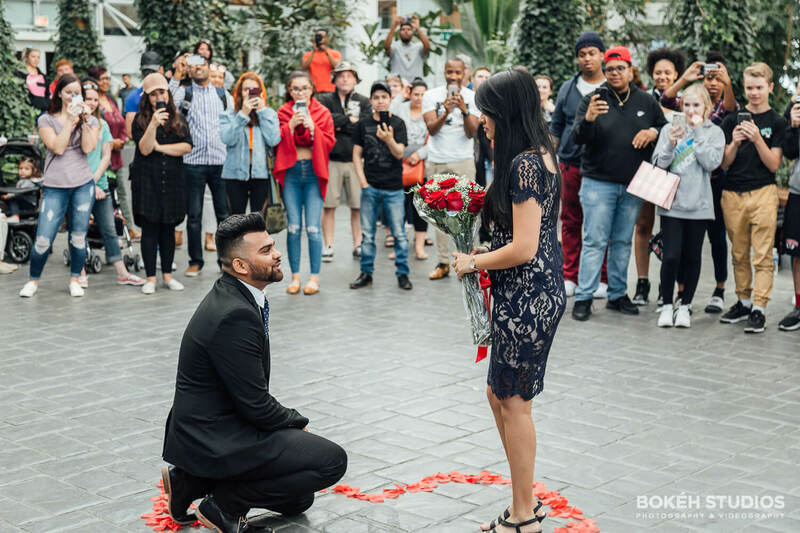 Parth was standing in the middle of heart shaped red petals and everyone including strangers were eagerly standing around waiting for Binita to walk the aisle, which was filled with white petals. 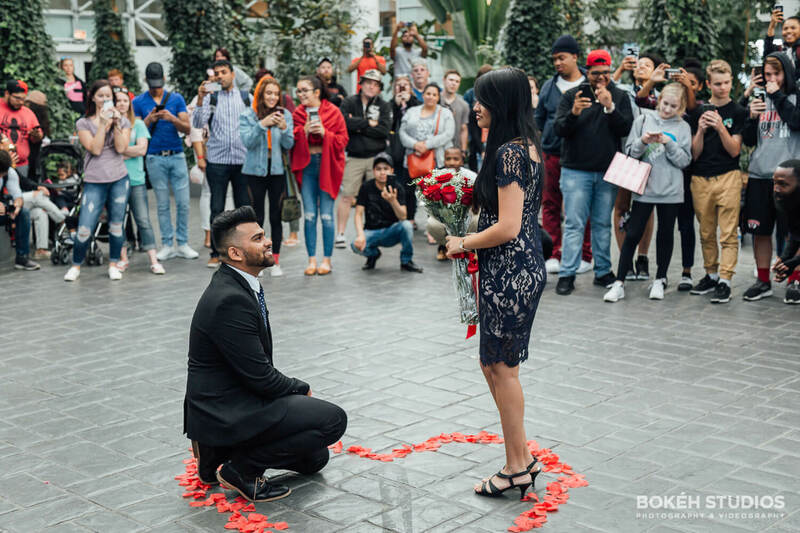 She was in tears as he got down on his knees and said a speech about how he feels about her and what she means to him. 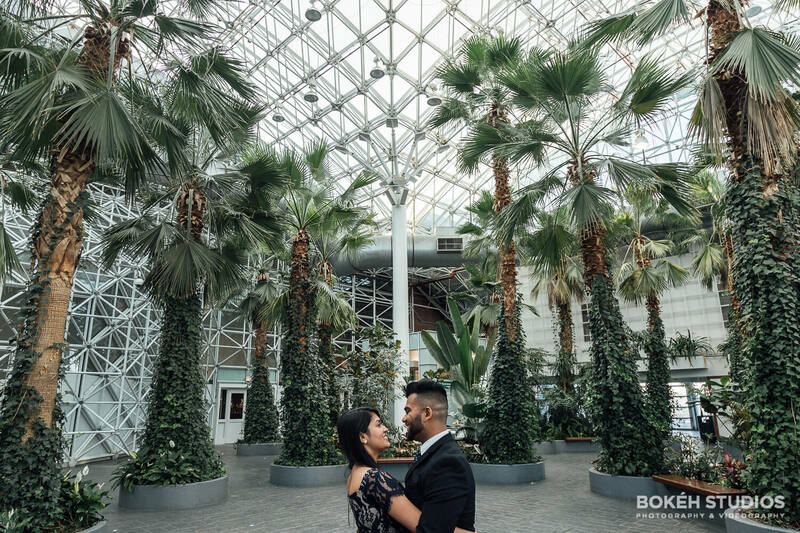 When he asked for her hand in marriage, she definitely said yes at the six‐story glass atrium with a 50-foot arched ceiling holds over 80 live palm trees, lush foliage, hanging twinkle lights and dancing leapfrog fountains. 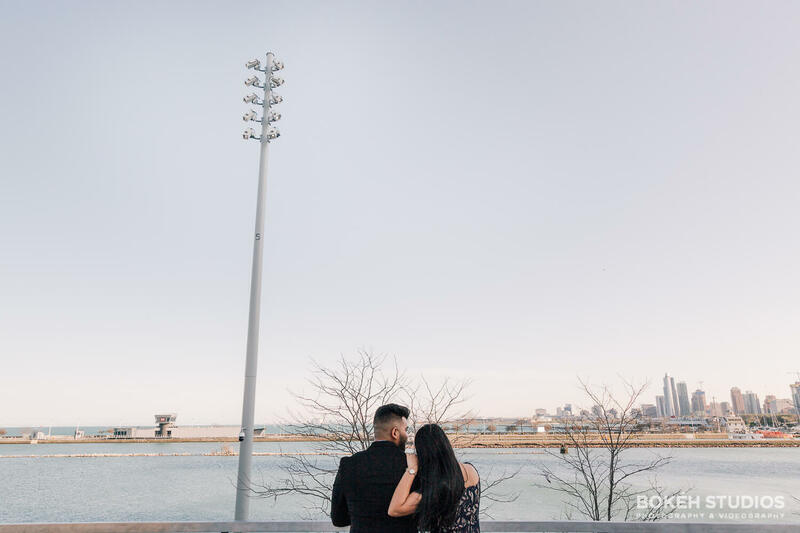 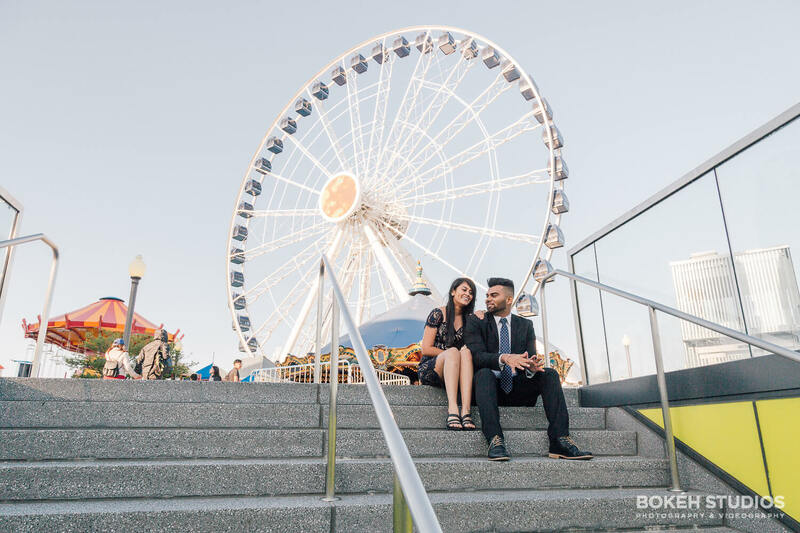 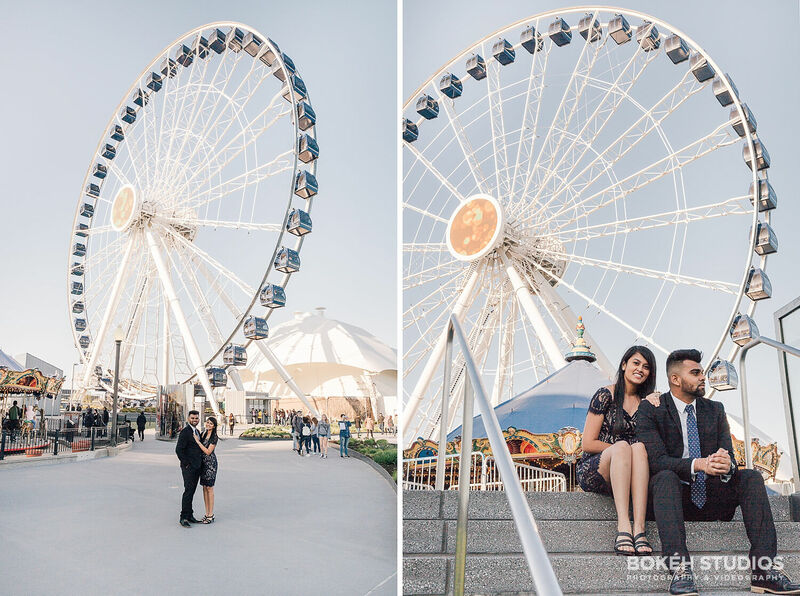 The Crystal Gardens offers beautiful views of the lakefront, the Chicago skyline and Navy Pier’s Ferris Wheel where we also took some formal photos of the newly-engaged couple. 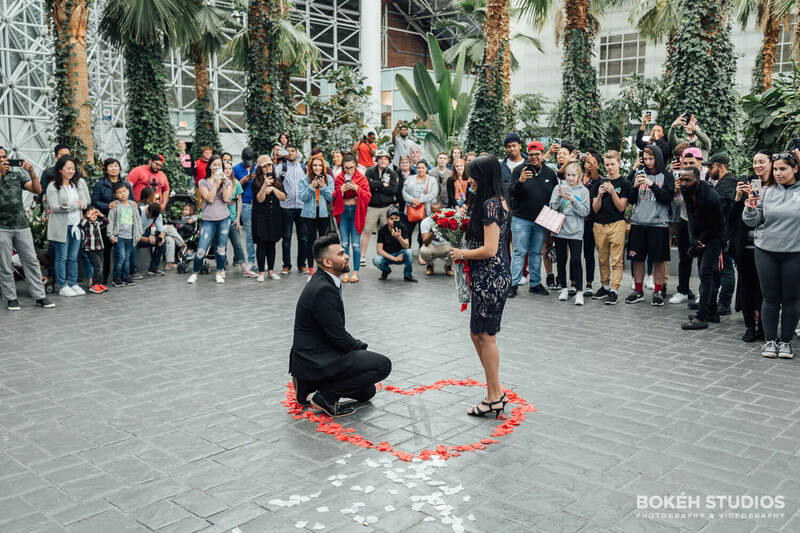 A thoughtful scavenger hunt makes any proposal fun and memorable and are more adventurous, and frankly, easier to pull off than typical ambush-style public proposals. 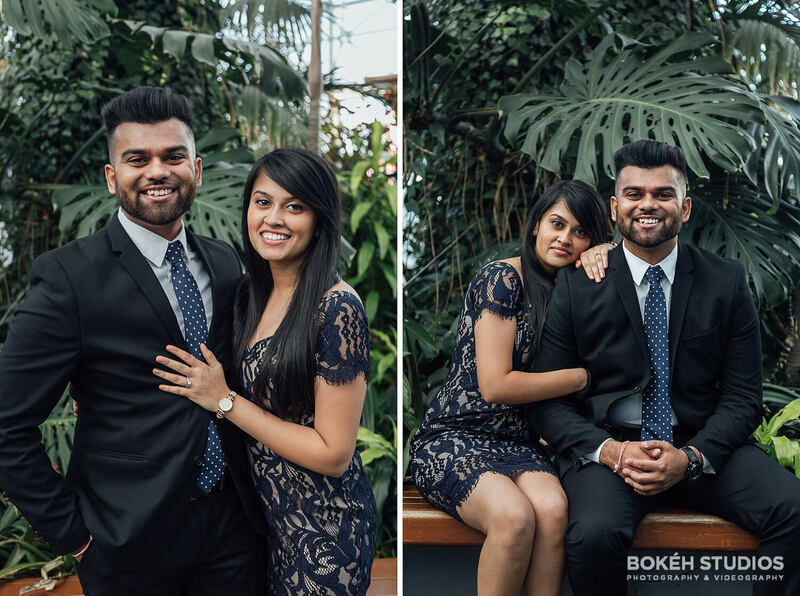 It’s reminiscent of our proposal shoot of Cherian and Asha from two years ago! 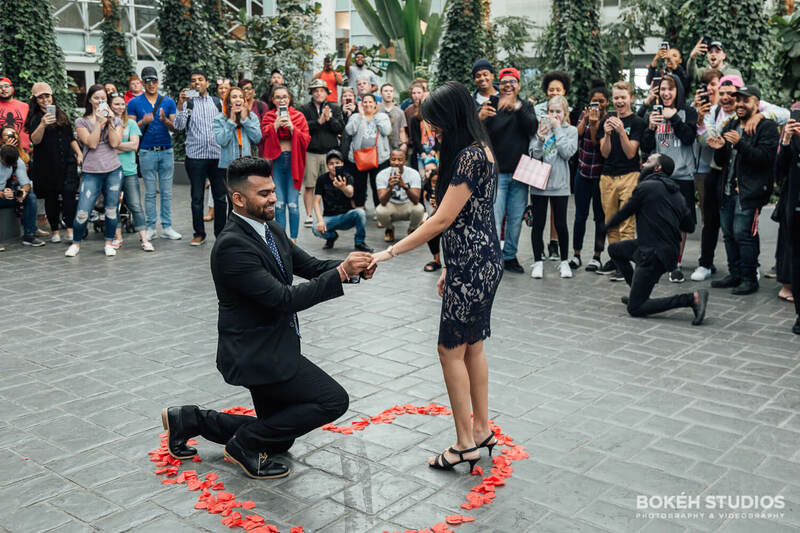 Four hours after Binita’s day had begun, she was led towards a line of rose petals in the garden with a crowd that eagerly awaited her acceptance to Parth’s proposal. 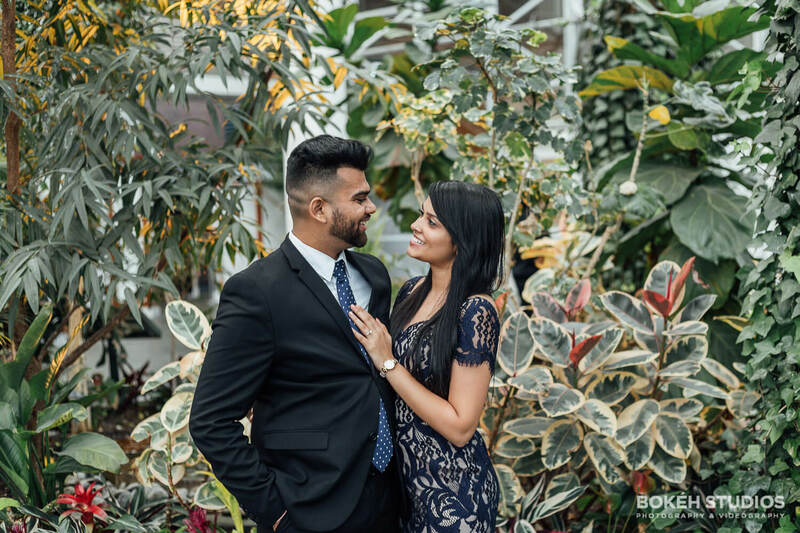 Congratulations to these two lovebirds!